Posts Tagged "philadelphia historic landmarks"
“Proclaim LIBERTY throughout all the land unto all the Inhabitants thereof”. So read the words around the rim of the Liberty Bell which, along with our flag, are America’s two most enduring symbols of personal freedom. The Liberty Bell now receives 1.5 million visitors per year in the Liberty Bell Center, one block from its former home in Independence Hall, America’s Cradle of Liberty. And what more perfect time to celebrate the absolute masterpiece of American and multi-cultural freedom that is Philadelphia than springtime when the city virtually explodes from its winter cocoon with high-flying festivals and events one weekend after the next. Art, music, food, flower shows, horse shows, county fairs, college sports to pro sports, tall ships to rowing shells—Philadelphia’s got a lot to brag about, and springtime is when Philly shakes off the winter blues and starts showing it off. Twenty minutes from one of the most culturally rich and historically important cities in America lies Darley Green, the highly regarded master planned community of affordable and luxurious condominiums and townhomes in Wilmington, Delaware. Young professionals, growing families, downsizers, and retirees alike love the proximity and convenience of their Darley Green homes to one of America’s greatest treasures, Philadelphia. Is there a more fitting way to kick off a fabulous Philadelphia spring than to simply breathe in and enjoy the annual Spring Bloom Display at the sprawling venerable Longwood Gardens starting April 4th through May 31st? Then for more contemplative beauty, appreciate the serenity of the weeklong citywide Subaru Cherry Blossom Festival sponsored by the Japan America Society from April 6-12. Things get turned up a notch on April 25th at one of Philadelphia’s first great music festivals of the spring season, the Center City Jazz Festival, celebrating Jazz History Month and Philly’s rich jazz heritage. May is when Philadelphia truly begins to operate on all springtime cylinders. May 2 is both the Rittenhouse Row Spring Festival and the South Street Spring Festival and Maifest treating thousands of visitors with blocks of food, music, and craft beers. For the kids, May 7-9 is the 30th anniversary of the Philadelphia International Children’s Festival. For the next two days, the largest intercollegiate rowing regatta in the United States, the Aberdeen Dad Vail Regatta, takes place on the heralded Schuylkill River, one of the most famous rowing routes in the sport. 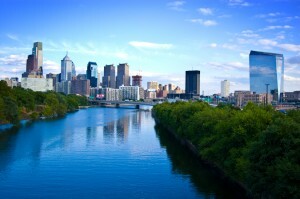 Sit on the banks of the Schuylkill with a picnic and cheer them all on! Be sure to mark down May 16th and 17th for a feast for your stomach and your soul at the South Street Italian Market Festival, America’s oldest continuously operating open air market, smack in the middle of South Philadelphia. As a resident at Darley Green’s new construction homes near Philadelphia, you and your family can enjoy the pleasures of your own maintenance free lifestyle in a community with the small town atmosphere that’s easy to call home. Because it’s only a quick twenty minute drive to Philly, the culture, the history, the shopping, and the excitement of an iconic American city are yours whenever you want. From May 21-31, America’s oldest and largest show of its kind, the Devon Horse Show and Country Fair, holds forth at the Devon Show Grounds. On May 23-25, this year’s Memorial Day weekend, Lincoln Financial Field hosts the 2015 NCAA Men’s Lacrosse Championships. Come see the best lacrosse teams in the country play in their own Big Dance. May 30 sounds like a great day to enjoy a daylong concert hosted by Grammy Award winning Philly band The Roots, better known as the sizzling hot house band for Jimmy Fallon and the Tonight Show. The Roots promise to bring a lot of their friends to Festival Pier at Penn’s Landing that day, so it is a must-attend. It’s spring, so thankfully, it must be time for baseball, and the Philadelphia Phillies want to welcome you to Citizens Bank Park on June 1st to meet the players, take pictures, get autographs, and have fun. And all to benefit a great cause –to raise funds to fight ALS. When you own one of the maintenance-free townhomes or condos at Darley Green, you can spend your springtime weekends enjoying your freedom. You may want to check out the Rittenhouse Square Fine Arts Show from June 5-7. Celebrating its 84th year, it’s the nation’s oldest outdoor arts show with over 100 original artists. Or staying on that theme, the Manayunk Arts Festival is the largest juried art show in the region with artists coming from all over the country to show on June 21. June is also International Gay and Lesbian Pride Month, and the cradle of personal freedom, Philadelphia, does it right. June 14th, Pride Day, is celebrated with the 27th annual LGBT Pride Parade and Festival. If you’re a nautical buff, you’ll want to be a part of Philadelphia’s great seagoing heritage at the Tall Ships Challenge Camden and Philadelphia on June 27th and 28th on the Camden waterfront and Penn’s Landing. If you’re ready to experience maintenance free luxury and affordability, call 302-472-7213 to speak with a representative from Montchanin Builders or to arrange a home tour of Darley Green. 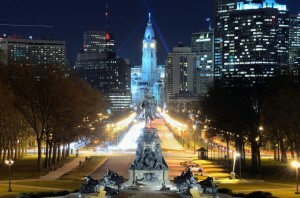 There’s something for everyone on New Year’s Eve in Philadelphia. You’ll find everything from funky arts festivals to extravagant feasts aboard sailing vessels. Family-friendly events are just as plentiful as all-night dance parties. Delaware townhomes by Montchanin Builders are located just 20 minutes from all the action in the heart of Philadelphia. Our residents enjoy added benefits like no sales tax and better value for their real estate dollar. We’ll count down just a few of the top New Year’s Eve celebrations in Philly — all minutes from the doorsteps of the residents of Darley Green . Shows take place at 6 p.m. and midnight, allowing fireworks fans of all ages the opportunity to celebrate. The best places to catch a view of the spectacular show include: the Blue Cross RiverRink Winterfest party at Penn’s Landing, the Independence Seaport Museum, the Hyatt Regency at Penn’s Landing, the SugarHouse Casino, Adventure Aquarium, and Franklin Square. Also consider watching the show from the water aboard the legendary Moshulu sailing vessel, the Battleship New Jersey, or the Spirit of Philadelphia cruise ship. FringeArts is one of the newer celebrations on the Waterfront with “all the funk you can handle” from live performances by Red40 and the Last Groovement. A $15 ticket also gains you entrance to a beer garden, bonfire, balloons, and dinner specials at La Peg. Once the fireworks are over, the party continues with an all-night dance party. Dance all night on a heated outdoor deck in Old City, amid excellent views of the fireworks over the Ben Franklin Bridge. For $20, enjoy drink specials, music, dancing and a champagne toast at midnight. One admission gets you into seven parties under one roof, with a bonus tent outdoors! You’ll be treated to five hours of open bar, live music from Lima Bean Riot and Split Decision, special party favors, and New Year’s bash coverage on over 75 TVs. Looking for something all-inclusive? For $120-$140, Alla Spina offers an open bar with Yard’s drafts, cocktails from Philadelphia Distilling, and a champagne toast. Food includes all your Vetri family favorites — Osteria’s Fiorentina steak, Lo Spiedo’s roast brisket, Amis’ bruchetta, and Pizzeria Vetri’s pizza al taglio. A live DJ and dancing will send off 2014 with a whirlwind of fun. Fitness buffs won’t want to miss the annual Philadelphia New Year’s Eve Midnight 5K Run, starting at McFadden’s at the ball park in South Philly. Runners can pick up their packets as early as 9:30, but the race kicks off at midnight. The $60 registration includes admission to McFadden’s after the run, with open bar and food. Space is limited to 750. Cash prizes are awarded to the fastest man and fastest woman racing in formal attire. Kick off the New Year in a brand new home! Our community is a serene place to call home – with tree-lined streets, communal green space, walking trails, and a stream. Shopping, dining and a state-of-the-art library are all within walking distance, as are schools in the Brandywine District. Our Delaware condos and townhomes come with two-car garages and up to 2,100 square feet of living space in traditional style homes updated with modern features. Described as “affordable” and “charming,” Darley Green represents community planning at its finest. Call 302-655-2600 for more information. 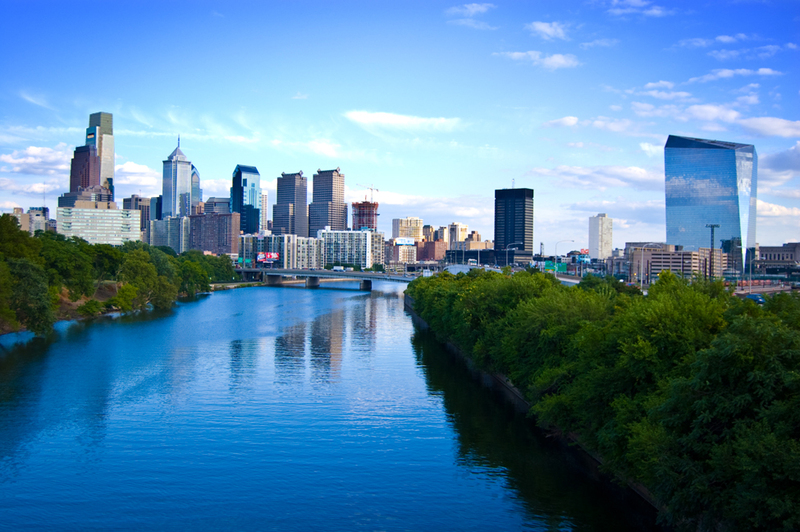 Colonial estates, Independence Hall, fascinating museums and a nearly 200-year-old penitentiary: The City of Brotherly Love features some of our nation’s most notable historic landmarks. Philadelphia is widely considered the birthplace of America – the city where our Founding Fathers signed the Declaration of Independence. Today’s historic Philadelphia offers insight into our country’s early history, whether you’re visiting the Liberty Bell Center or exploring the cavernous and decidedly creepy Eastern State Penitentiary, once the world’s most famous high-tech prison. Also renowned for its vibrant culture and sizzling nightlife, Philly is a short jaunt from several bedroom communities, where commuters simply hang their hats for the night. For those searching for move in ready homes near Philadelphia that have real heart and soul, Darley Green offers the best of both worlds. These new construction condos and townhomes are just 20 minutes from Philadelphia’s historical landmarks, but are also situated close to Claymont’s own cultural attractions and family-friendly points of interest. Ideally located in Delaware’s burgeoning Claymont Renaissance District, this elegant master-planned community puts recreation, entertainment and excellent schools all within reach. Though far from exhaustive, this list includes some of the most popular historic attractions in Philadelphia that are sure to delight weekend travelers and history buffs alike. Independence Hall – Take an interactive tour of this red Georgian style building dating back to 1753. Part of the independence National Historic Park, the building is where both the Declaration of Independence (1776) and our U.S. Constitution (1787) were signed and adopted. Open daily, tickets (free or $1.50 if purchased in advance) are required for admission. Liberty Bell Center – Boasting millions of visitors every year, the Liberty Bell Center is just a block away from Independence Hall, and stands as a timeless symbol of our nation’s independence. 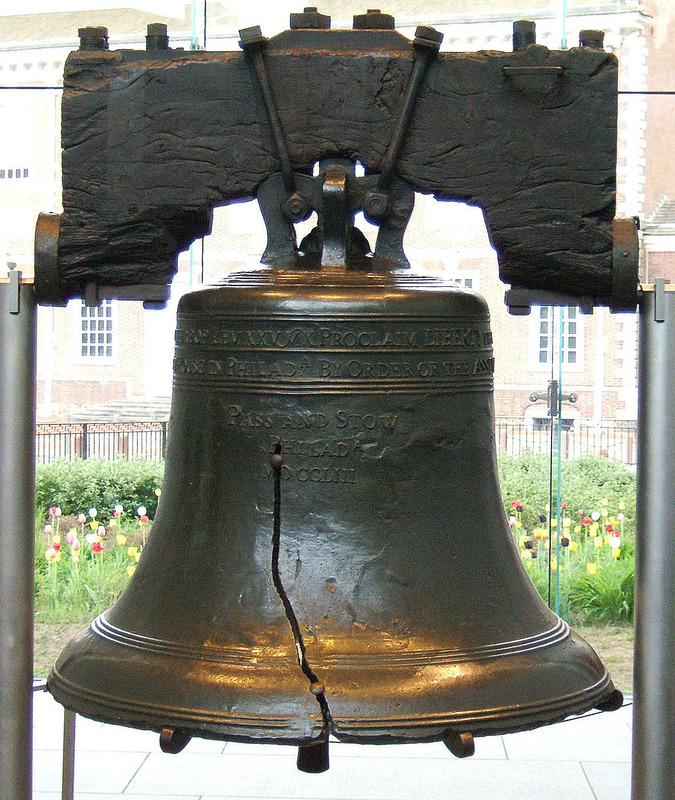 The pavilion also includes exhibits and videos about this iconic bell, explaining its origins and how it became a worldwide symbol for freedom. John Bartram House – Spanning more than 46 acres, this estate features our country’s oldest surviving botanical gardens, overlooking the west banks of the Schuylkill River. The original stone house was erected circa 1730, and served three generations of Bartrams (Quakers), who planted and tended a vast collection of North American trees and flowering plants. Betsy Ross House – A $7 ticket grants you a guided tour to the birthplace of our beloved American Flag, where entrepreneur and seamstress Betsy Ross crafted our stars and stripes. The house was built more than 250 years ago and was home to several artisans before opening to the public as a museum. Eastern State Penitentiary – This hulking castle of a prison is somewhat incongruous on stately Fairmont Avenue. Made a national historic landmark in 1965, ESP was built to reform rather than punish, and was opened in 1829 as the world’s first high-tech penitentiary. Daily tours of spine-chilling isolation cells, which held Al Capone for a time, are available with audio narration done by actor Steve Buscemi. Want to be close to all the action, but in a neighborhood with its own character and charm? Darley Green’s move-in ready condos and townhomes near Philadelphia are attractively priced. Framed by wide, tree-lined streets and serene green areas, this inviting community has so many perks, including several modern floor plans, an onsite state-of-the-art library, as well as eateries and shops within walking distance. To learn more about the benefits of Delaware living at Darley Green, or to arrange a tour of our model homes, please call Sales Manager Amy Maluski at 302.655.2600.